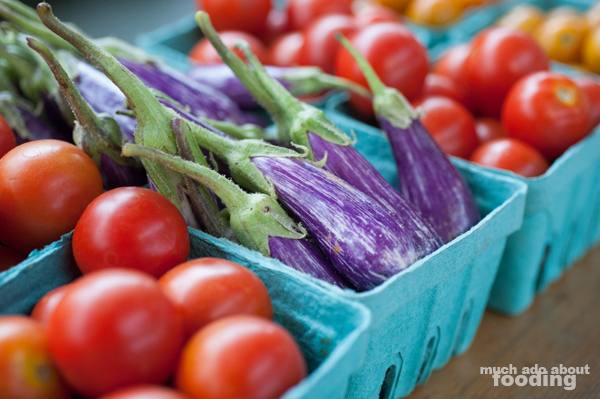 We love farmers' markets. 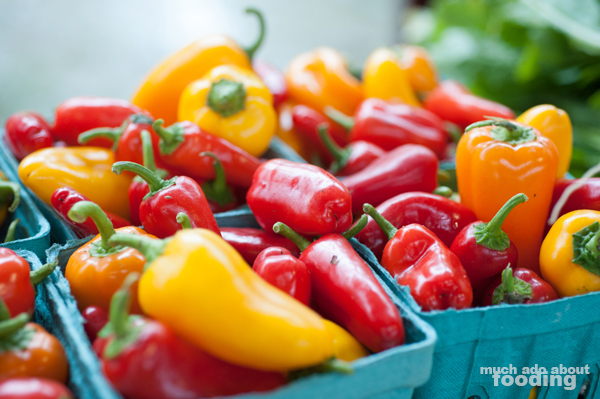 It's a guaranteed destination for any traveling that we do and originally started off as just research for an ongoing "Finding Farmers' Markets" series for Orange County. These markets have seen a revival due to the increased interest people have in where their food comes from and finding the freshest they can get. Where better than from the source? 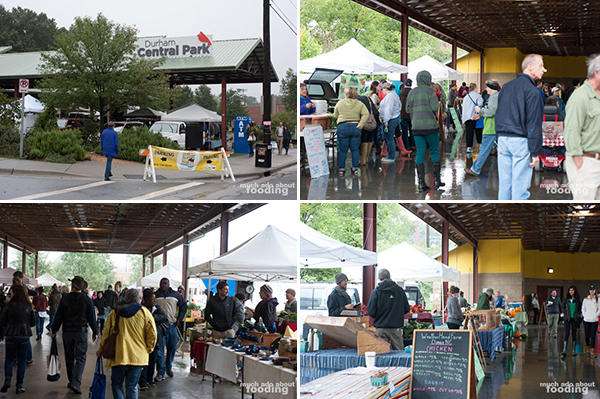 When we traveled to Durham recently, we just had to schedule time for one and despite the on-and-off rain, the Durham Farmers' Market on Saturday morning was still open. Though small, the essentials were present and the people mightily friendly! 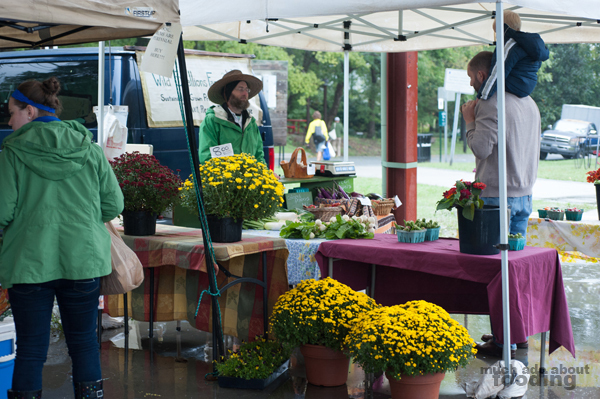 While the frequenting of farmers' markets seems a little trendier lately than in the past, the Durham Farmers' Market has been open since 1998 with occasional moving of locations. It is now located in its own dedicated space called The Pavilion in downtown Durham and attracts people during all seasons. When I first visited this particular market, I was still a student at Duke University and remember that one of the unique and community-drive traits of the market was their acceptance of WIC checks and senior vouchers. This allows people with low incomes to also partake of the healthful produce and goods rather than purchase unhealthy foods in traditional grocery stores. I was impressed back then when I first heard of it and am still proud of their commitment to this. Our visit in October also showed how the market continues to grow over the years. 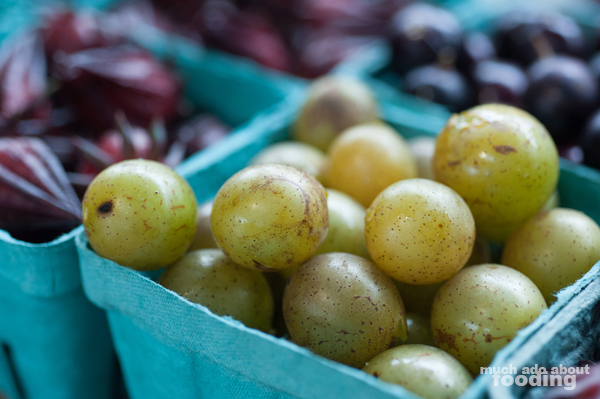 While the space is smaller than some other farmers' markets, the fare is diverse and lets you not only shop for groceries but also other specialty items from the farmers themselves. 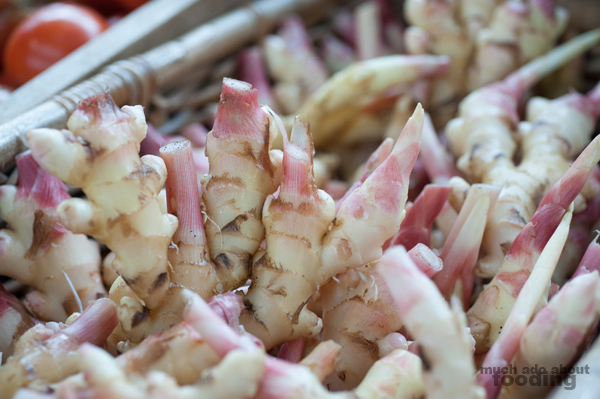 A point that we try to make as we visit these farmers' markets is also to find the produce that is a little less common. There was plenty to look at here, and their inclusion in the market gave much room for creativity. 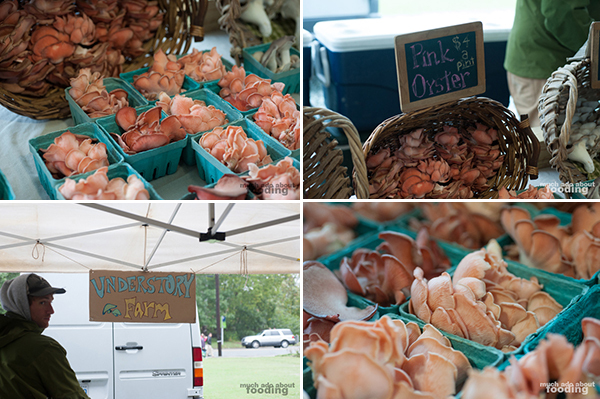 Grabbing bags of items from several stalls, we were able to put together a menu for dinner that contained beautiful produce such as pink oyster mushrooms from Understory Farm. We also spotted gorgeous dozens of naturally blue and brown chicken eggs and special green/blue duck eggs. In speaking with each farmer about their bounties, we learned so much about each farm's specialties and uniqueness as well as confirmed just how passionate each vendor was. 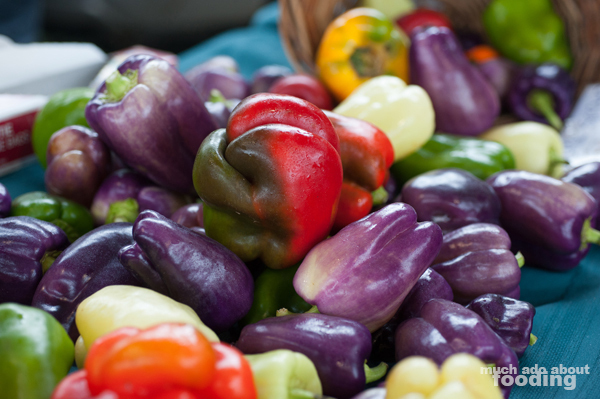 It is certainly a farmers' market not to be missed. In addition to fresh fruit and vegetables, you can be sure to find meat sources here that are given care and well-raised including less common meats like rabbit. 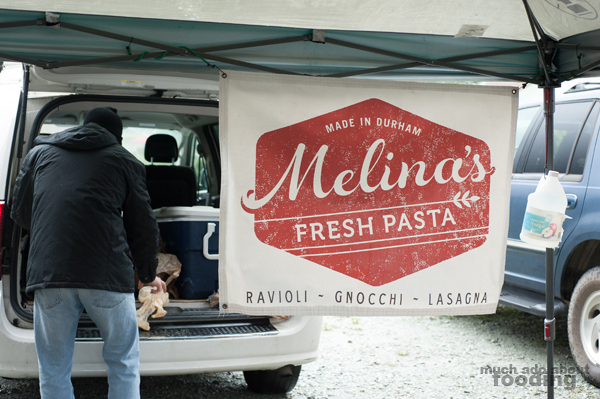 There is also the constant presence of fresh pasta vendor Melina's who makes gnocchi, ravioli, and so on, selling by the pound and consistently running out. We were lucky to get our hands on some spinach gnocchi ourselves! 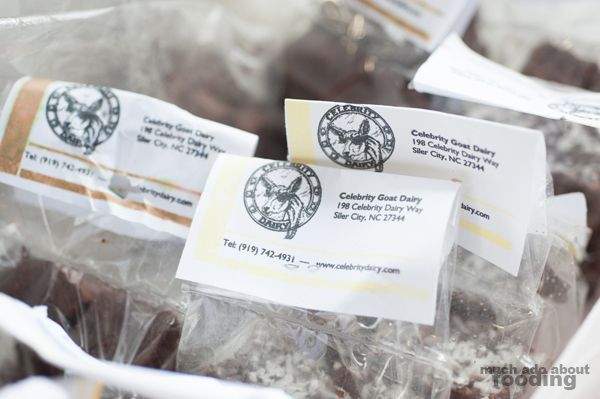 We also ran into Celebrity Goat Dairy which was more than happy to share samples of goat cheese with us and encourage all passersby to grab a pint of goat milk ice cream. If goat cheese is not your style, don't worry because there were at least two other creameries present at the same time. Overall the market was buzzing with activity even in the less than favorable weather so we can only imagine what it's like when the weather is good out! Find them year-round from 8am-noon in the summer and 10am-noon in the winter on Saturdays.